DM2 partnered with Lionsgate to create an engaging and cinematic campaign for the Academy Award-nominated film Hacksaw Ridge. The film’s inspiring true story of Desmond Doss captured the hearts of fans and critics alike, resulting in an engaging campaign that was matched by fan and critic enthusiasm. Our social strategy was to target the male demographic, who are fans of Andrew Garfield and Mel Gibson, as well as the Faith-based audience, who connected with the true story element of the film. DM2 created content tailored towards fans of war films, fans of the cast and filmmaker, action oriented GIF's, quote static graphics and critic review content. 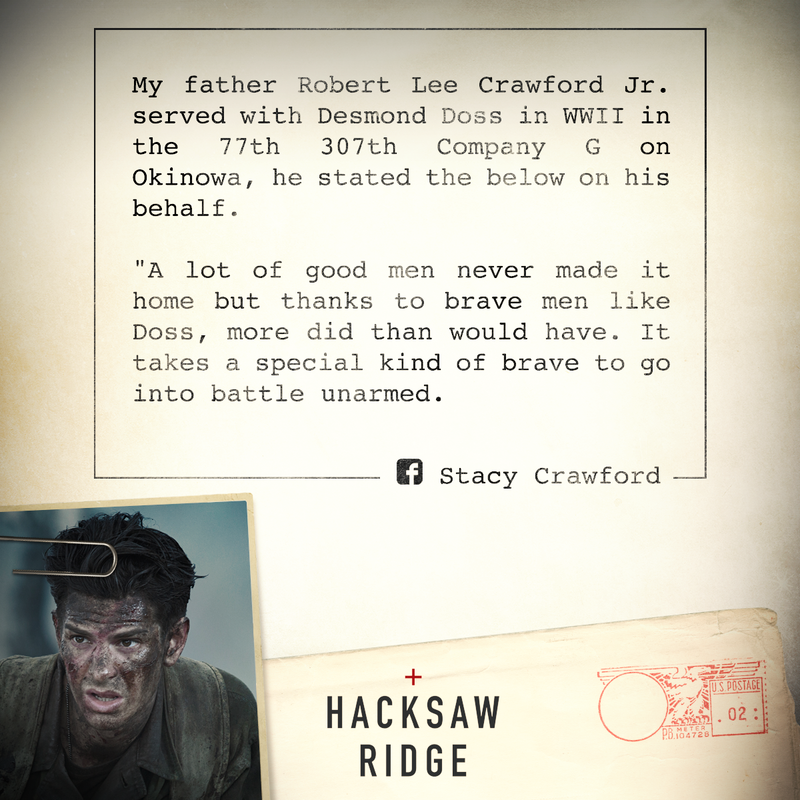 We engaged fans by creating Facebook Message graphics which featured personal stories related to Desmond Doss submitted by fans. The timing of the film's release also allowed for our socials to tap into conversation around Veterans Day, with custom creatives leveraging the trend. 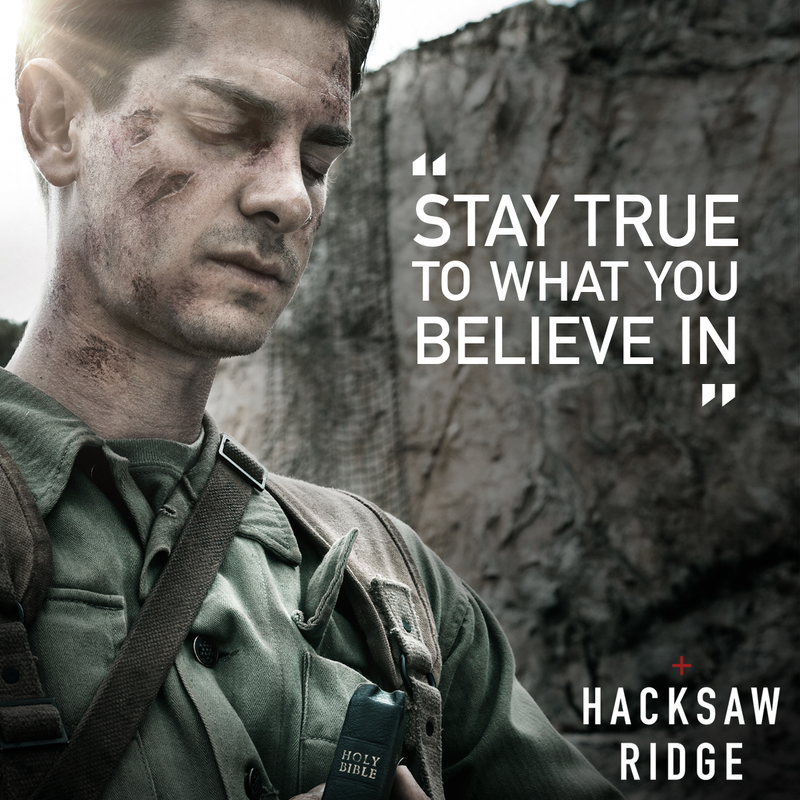 Through inspiring creatives and high levels of community management, we boosted fan adoration for Hacksaw Ridge both during and after the film’s initial theatrical release. 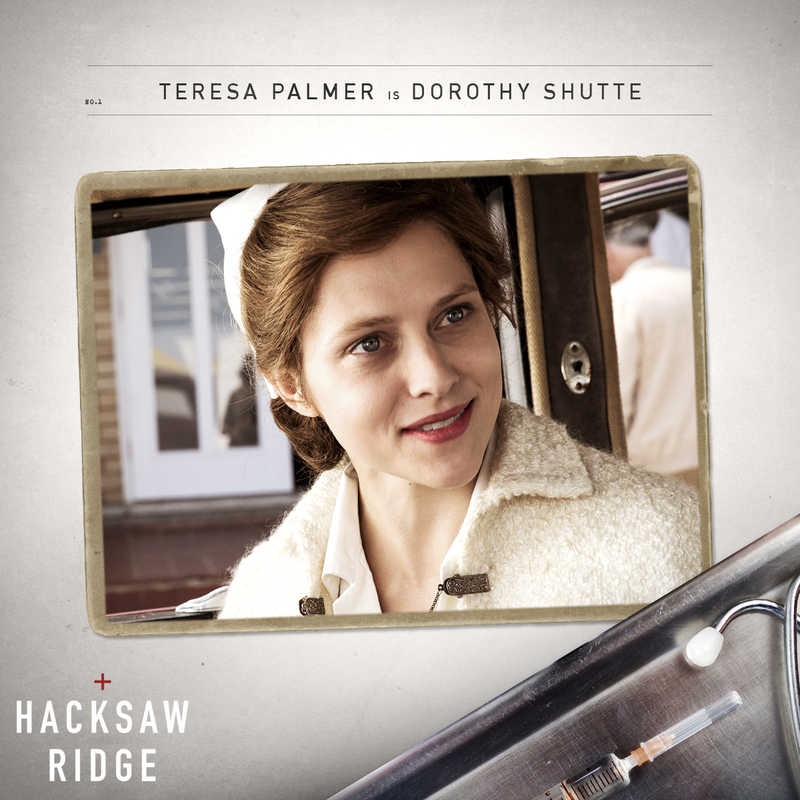 Direct-to-consumer messaging was used throughout the theatrical window, and extended into award seasons. 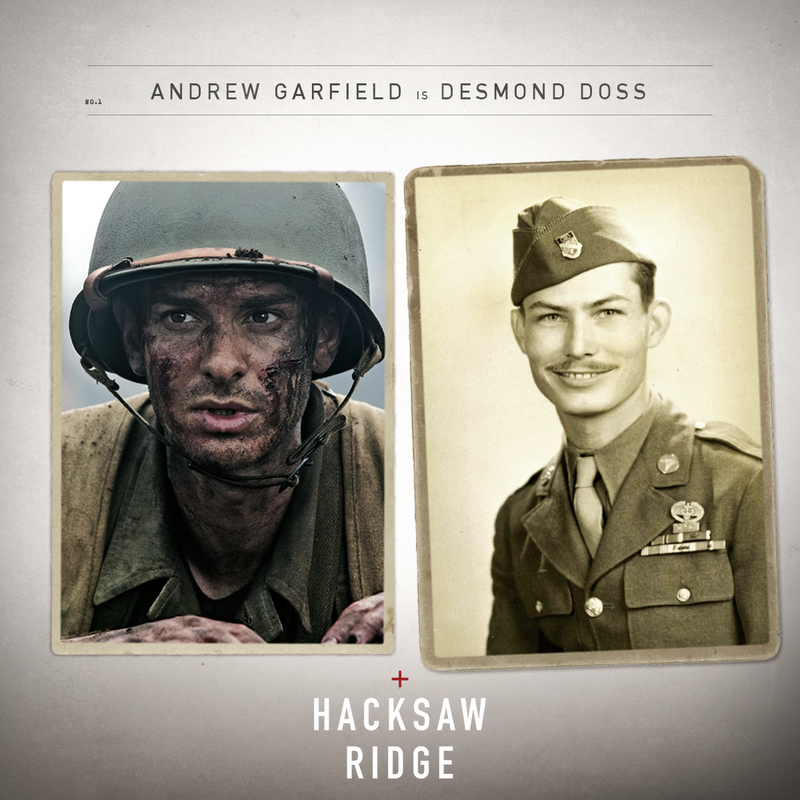 Hacksaw Ridge went on to receive award wins and nominations from the Academy of Motion Picture Arts and Sciences, the Screen Actor’s Guild, the Golden Globes, and the Critic’s Choice Awards.